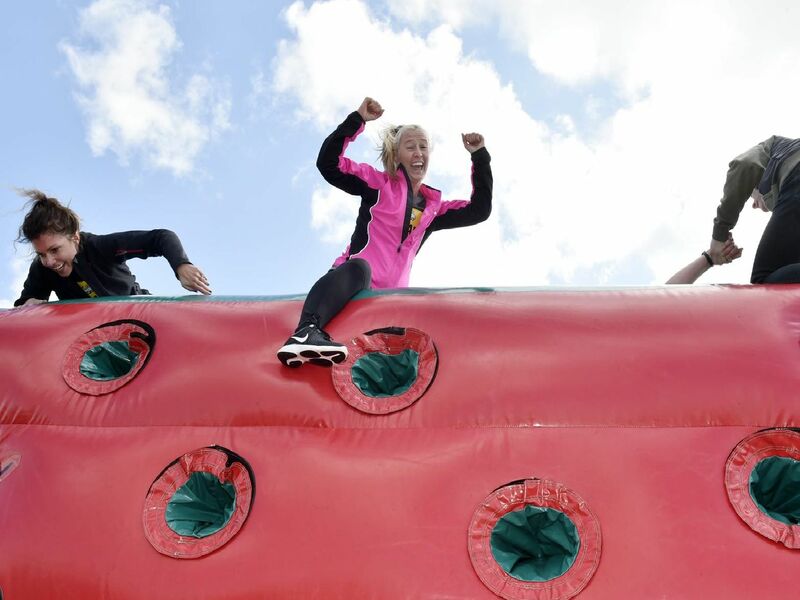 More than 3,500 people took part in the world's biggest inflatable 5k obstacle run in in Leeds. The challenging Gung-Ho! 5k course - which featured 10 giant inflatables along the route including huge slides and enormous spiky balls - was set up in the grounds of Harewood House on Saturday (April 13). Event organiser Alan Brown of Gung-Ho! said groups of up to 250 runners set off at 15-minute intervals throughout the day. Mr Brown said: "Some of the inflatables are quite tough to get over. People on Saturday were quite intimidate by The Wall." Mr Brown said a number of runners took on the challenge to raise cash for a string of charities. Families also took part along with teams of up to 30 and 40 people made up of of workmates. Mr Brown said: "It was a great day. Harewood was a fantastic venue and we definitely hope to come back next year. We did a survey of people as they left the event and people were leaving with smiles on their faces." Mr Brown said some of the inflatables are the biggest ever made, adding: "We design them here and we go over to the factory in China to make sure they are made to our specification." Mr Brown said The Wall giant inflatable is 45m wide and three-and-a-half-metres high. It was the first year for Gung-Ho! at Harewood House after visiting Temple Newsam in 2016, 2017 and 2018.